Our crystal and engraving was also very popular with Golf Clubs around Yorkshire and business soon began to expand further. We are now based at our location on New Road Side Rawdon and we are still a family business. Trophies and Awards are provided nationwide now and we now have customers from Glasgow to London, including some household names such as, Mcdonalds, Asda, Morrisons and Hitachi. 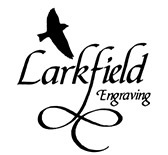 Our service still puts the customer’s requirements first and our quality of engraving is still the same or even better!